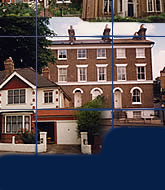 Dove Property is a quality, independent firm specialising in Residential Lettings and Property Management. We operate throughout Derbyshire and selected towns in Staffordshire. Now in our 12th year of operation we have built an excellent reputation in letting properties for landlords in and around Ashbourne and have an in-depth understanding of the local market. As specialists we are fully focused on the priorities and needs of the Landlord and Tenant, and, unlike estate agents, our loyalties are not divided by dealing with property sales and mortgages. We understand that letting your property, especially for the first time, can be a worrying experience and with this in mind our most important consideration is providing the Landlord with the best possible service and the right tenant for their property. We never forget that the property is your most important asset and we can confidently assure you that by instructing us to act as your Letting and Management Agent your asset will be in professional and caring hands. With competitive fees, no VAT and flexible service to rival if not exceed the best, we hope our business is of interest to you. We are particularly committed to investment Landlords and savings can be made on the smallest of portfolios. Drawn from a continually updated register, all prospective Tenants are thoroughly referenced and credit checked and where necessary we will look to appoint a guarantor or alternate method of minimising landlord financial risk. If you are looking for a property to rent please contact us to be placed on our register. With regard to referencing we are here to assist you in completing and passing the process.